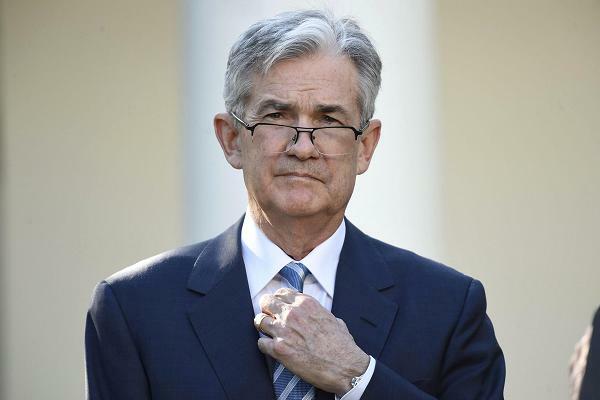 Federal Reserve Board Governor Jerome Powell, nominated by President Donald Trump to become the next Fed chair, appears before the Senate Banking Committee Tuesday for his confirmation hearing. If confirmed, as expected, he will succeed Janet Yellen as head of the Fed on February 3, 2018, when her term as chair expires. I understand that the confirmation hearing before the Senate Banking Committee, to determine if Federal Reserve Board Governor Jerome Powell will be confirmed by the committee to become the next chairman of the Federal Reserve Board, will take place this Tuesday, November 26, 2017. As I am sure you are aware, most Americans are concerned about the long-tern stability of the economy and of accelerating price inflation in the long-term. As I have written in my book, The Fed Flunks: My Speech at the New York Federal Reserve Bank, since the birth of the Federal Reserve, there have been 18 recessions, including the Great Depression and the recent Great Recession. Price inflation at the consumer level over the same period, as measured by government statistics, has climbed by more that 2,450%. This does not strike me as a performance that should lead to confidence in the Federal Reserve System. I have read the 50 speeches and/or remarks that Governor Powell has delivered since he became a Federal Reserve Board Governor on May 25, 2012. In not one of these speeches, over five plus years, has he acknowledged the long track record of failure of the Federal Reserve. 1. Since the birth of the Federal Reserve, there have been 18 recessions and consumer prices have climbed by more than 2,450%. Do you consider this a successful Federal Reserve track record? Are there any policies you would change? 2. Nobel Prize economist F.A. Hayek was specifically rewarded the Nobel Prize for his work in business cycle theory. Hayek showed how monetary expansion, accompanied by lending which exceeded the rate of voluntary saving, could lead to a misallocation of resources, particularly affecting the structure of capital. This type of business cycle theory with links to monetary expansion has fundamental features in common with the postwar monetary discussion. The Academy is of the opinion that von Hayek's analysis of the functional efficiency of different economic systems is one of his most significant contributions to economic research in the broader sense. This seems to suggest that monetary expansion, which the Federal Reserve has generally done since its inception, is at the root of the business cycle. If you are confirmed as Federal Reserve chairman, will you continue the practice of monetary expansion by the Federal Reserve? And, if so, what is the flaw you see in Hayek's work that causes you to reject his notion that the Federal Reserve-type monetary expansion is what causes business cycles? 3. The Federal Reserve lists on its H4.1 release 11.041 million dollars in gold, as part of its assets. But the Federal Reserve does not really own any physical gold. It only holds gold certificates of the U.S. Treasury Department. If you are confirmed as Federal Reserve chairman, will you see to it that the H4.1 release is corrected so that it reflects that the Federal Reserve does not hold any physical gold and only gold certificates? 4. It is not certain that a thorough audit of the gold held by the Treasury has ever been completed, certainly not in decades. If you are confirmed as Federal Reserve chairman, will you request that the Treasury allow a complete an independent audit of its gold that is backed up by the certificates held by the Federal Reserve and if the Treasury refuses to conduct a full independent audit will you request that the certificates the Federal Reserve holds be redeemed into gold by the Treasury?